Police have commenced a fresh search for the body of a teenager who vanished more than 20 years ago after attending a disco with a convicted child killer. Arlene Arkinson, 15, from Castlederg in Co Tyrone disappeared in August 1994 after a night out across the Irish border in Co Donegal. She was last seen being driven off down a country road late at night by child killer Robert Howard. He was acquitted of the schoolgirl’s murder in 2005 by a jury not told about his lengthy criminal history which included killing another teenager, Hannah Williams, in south London several years earlier. Arlene’s body has never been found despite extensive searches. The new searches are focused on farmland at Killen, around a mile from Castlederg, close to where Arlene was last seen. The operation was triggered after a report of some disturbed earth. 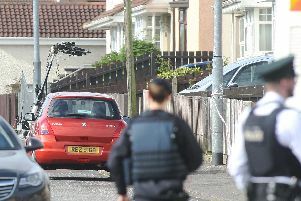 Police Service of Northern Ireland (PSNI) Detective Chief Superintendent Raymond Murray said: “The family of Arlene Arkinson have been advised of this development purely as a precautionary measure.